Measures: 41 x 56 x 36cms. 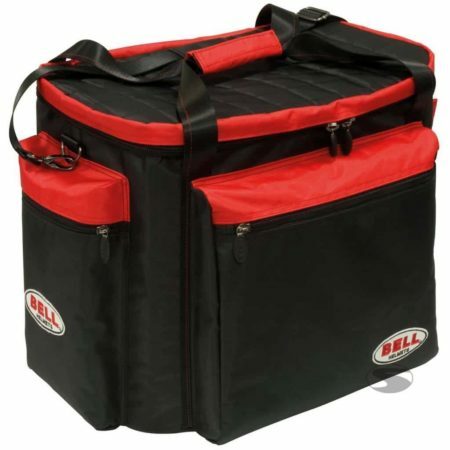 An extra large helmet bag from Bell designed to fit helmet, a HANS Device and your other driver accessories. Features 3 external storage pockets and a foam inner liner to protect your helmet.